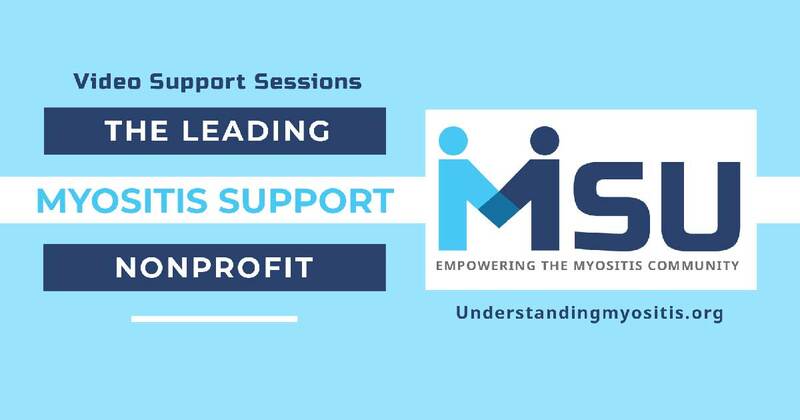 Myositis Patients, mark your calendar and join us for this free non-medical, patient-led, open discussion video support session. 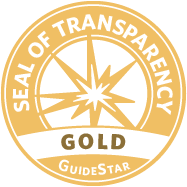 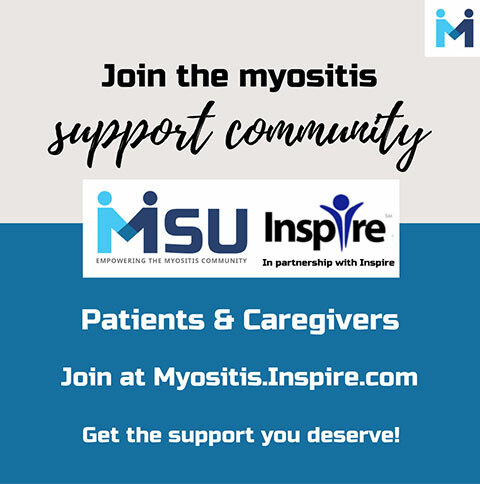 Join to share experiences, ask questions, compare notes, and make new friends. 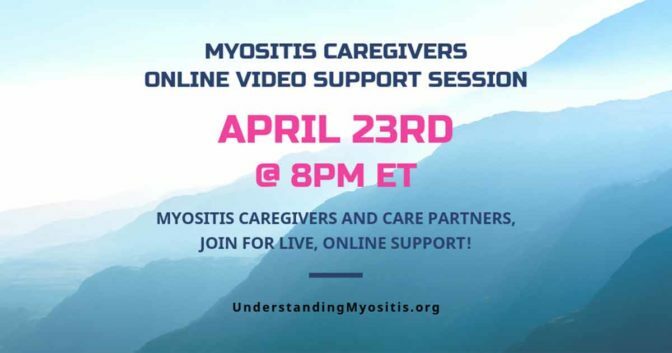 See details below on how to join by video. 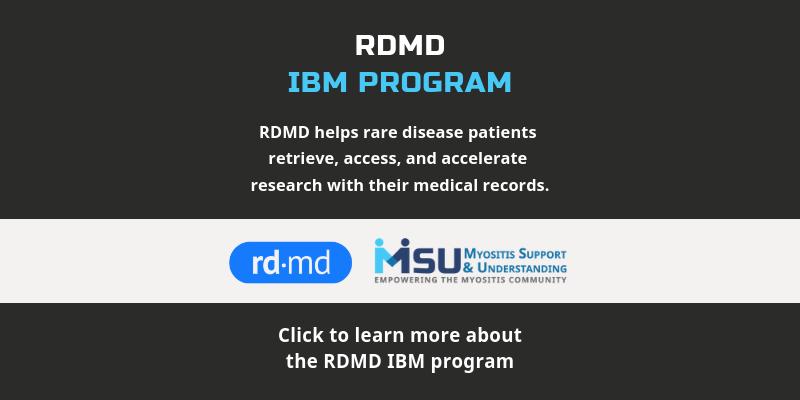 You do NOT have to register. 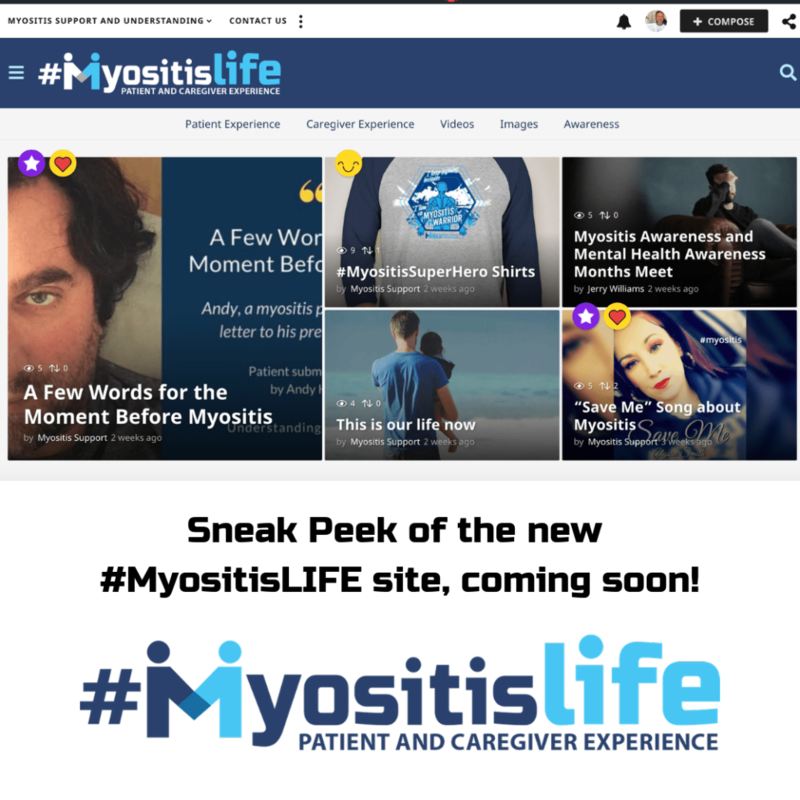 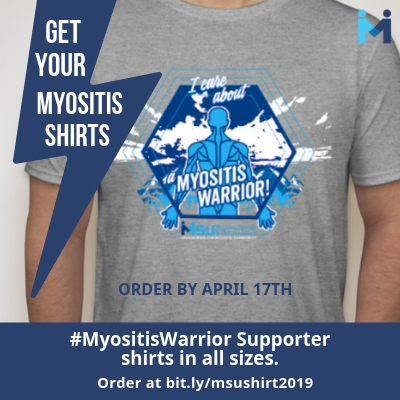 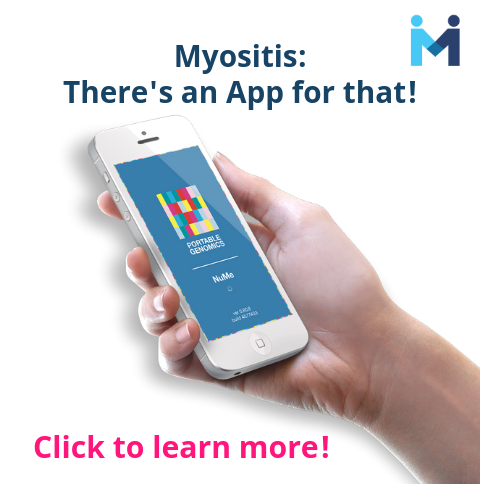 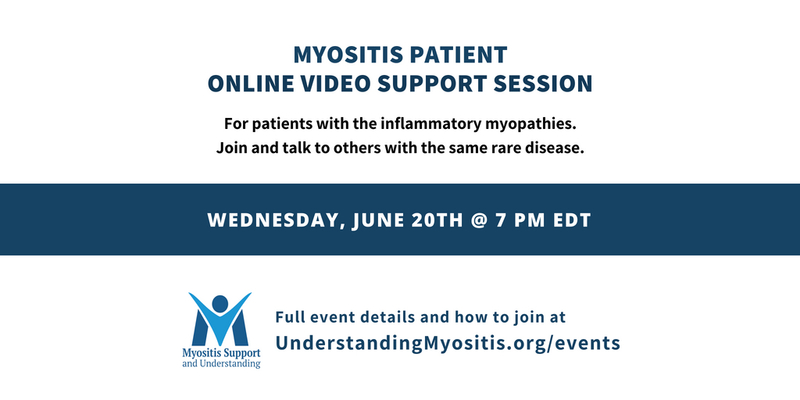 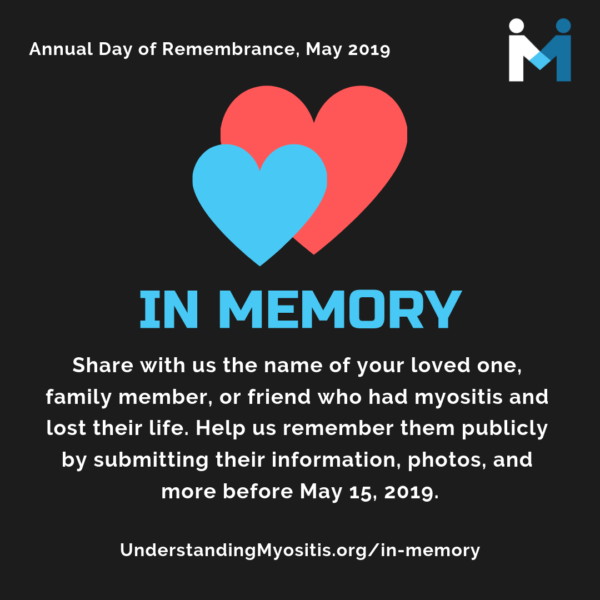 Simply click the button above on Wednesday, June 20th a little before the start time of 7 PM Eastern (6 PM Central, 5 PM Mountain, 4 PM Pacific) to join the Myositis Patient Video Support Session. 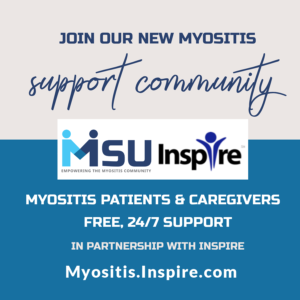 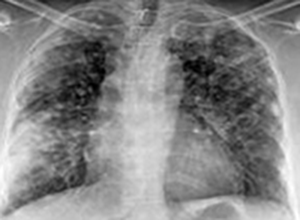 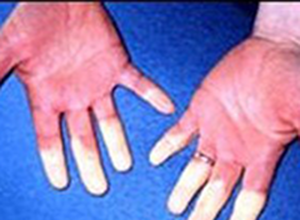 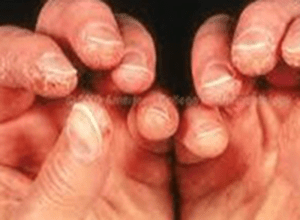 This session is tailored to those diagnosed with or suspected of having, Polymyositis, Dermatomyositis, Necrotizing Autoimmune Myopathy, Juvenile Myositis, and other unspecified or nonspecific idiopathic inflammatory myopathies (myositis). 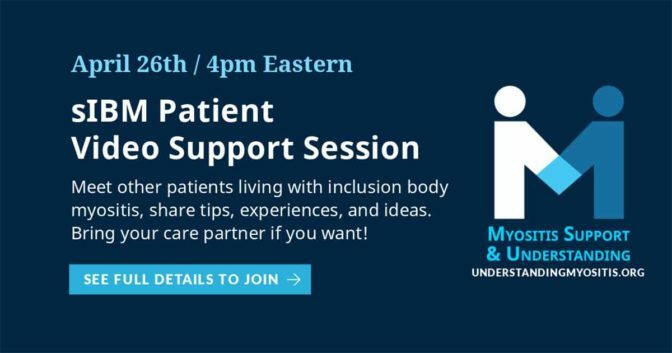 In addition, we have a separately dedicated video support session for Inclusion Body Myositis patients.